Ask yourself this: are buses in your community better or worse than they were ten years ago? Are they are as regular, or affordable? Do they come on time and take you where you need to go? The chances are you’re in the vast majority of people in this country who have experienced neglect in your local bus service. Whether you live in a town or a rural area, since 2010 local bus services have come under huge strain. That’s why Jeremy’s news plans, announced today, are a breath of fresh air. I believe he understands that the problem with our buses goes deeper than recent government cuts – what’s needed is to transform the way our buses are operated, so that they do really serve people they way they should. Yes, savage cuts to local authority funding partly explain the decline. Despite private operators running most routes, services that were deemed “socially necessary but not commercially viable” have been subsidised by local government. The reality is that for many people, especially in rural areas, these bus services are the difference between a decent quality of life and a life of isolation and hardship. Yet cuts have gone on regardless. In 2012 alone, one fifth of the Bus Service Operators Grant was slashed. Teresa May seems intent to press on with her predecessor’s failures. But as Corbyn made clear today, it’s also about the way our buses are run, not just how much money taxpayers fork out. Between 2003 and 2013 private shareholders pocketed £2.8 billion in profits made by the private bus operators. That’s revenue made from driving up bus fares, driving down staff wages and from a slice of public subsidy on top. 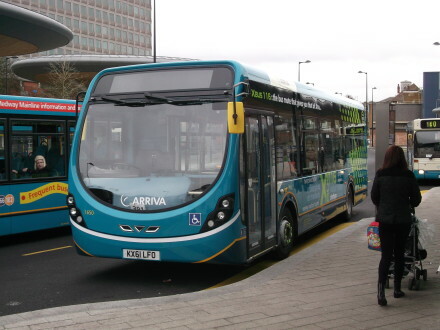 As a someone with a deep interest in the transport industry who has spent many years working in the transport industry, I have seen the huge social benefits that a well-connected bus service can make to people’s lives. The passengers I see every day are on their way to school, or hospital; they are travelling to job interviews or commuting to work; they are staying in touch with family and friends, or heading to the shops. It makes a real economic impact, too: it makes sense that when routes are cut, communities lose out. The status quo is failing people across the country. But tinkering at the edges of policy won’t cut it either: the problem is too big and the need for reform too urgent for that. Jeremy Corbyn’s policy for municipal bus companies is the bold measure we’ve been waiting for. It’s going to mean local communities getting a real say in how buses are run, and extra investment meaning no bus passenger gets left behind, waiting in the rain. Germany and France have long ago cottoned on, and most of their bus services are run this way. Buses are an economic and social good: surely it’s just good common sense to ensure they get the support they need? The vested interests who have done very well out of running down our bus services aren’t going to like courageous steps to make our bus network fit for purpose. But I trust Jeremy to take them on and, with the public behind him, win. Every community with the well-funded bus network it deserves, accountable to the people it serves? Now that’s a bus policy I think passengers will get on board with.